A must for anyone new to Ableton or wanting to dive deeper into the depth of this program. Over 6 hours of the most in depth yet easy to follow tutorials on the market! 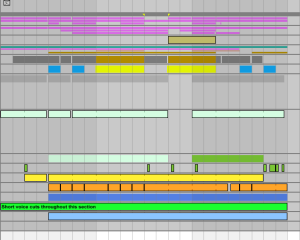 Fully updated for Ableton 9 & previous versions. 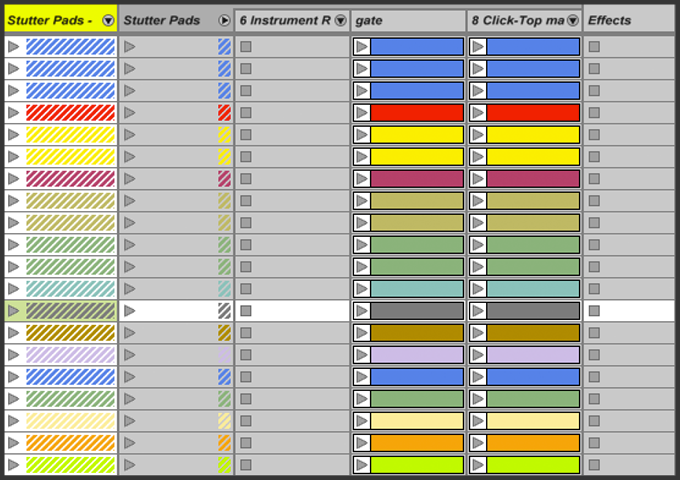 An incredible companion to the first collection that takes you even deeper into Ableton. Includes 20 professional custom drum kits and a full Drum Racks replication of Roland’s famous R-8 & R-70 drum machines. A must for DJ’s and remixers! If you warp full songs on a regular basis, you’re going to run into warping issues that can bring production to a halt. These simple secrets will get you past that with ease and back to doing what you do best. Ready to take your productions live? 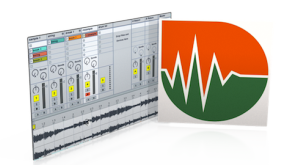 This collection is a must for anyone who wants to DJ or perform live in Ableton. It includes seventeen in-depth Videos on Warping, Organizing files, Setting up midi controllers (including APC40), Syncing multiple laptops and lots more! If you’ve ever wanted to look over my shoulder while I make songs, THIS is the collection for you! You’ll get to watch me producing a full song from start to finish over a 12 step process, through the good, the bad, and the ugly. It also explores my approach to using the Ableton Master Template, which is an extremely powerful tool to literally build full songs. This should really help you break down the music production process. 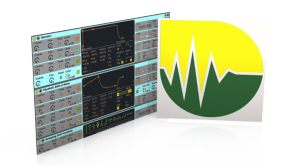 This tutorial series serves as both a missing manual for Ableton Analog plus a comprehensive introduction to the most important concepts in subtractive synthesis. By the end of the series, you’ll be using Analog with confidence and a wealth of inspiration. 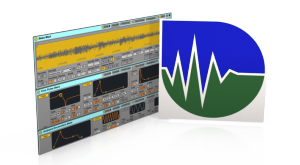 Operator allows the sound designer the ultimate flexibility in creating a timbre from virtually nothing, hand-shaping individual harmonic overtones to create amazingly rich sounds that can be further mixed through various algorithms. You’ll learn how to harness this power in a way that is both intuitive and creative. 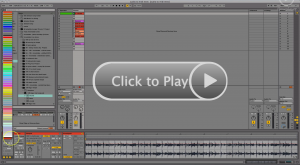 Using Ableton Live and these video tutorials, you will learn how to take any ordinary sound and turn it into something completely new and useful. You’ll develop a true understanding of Sampler & Simpler so that you can have the last word on every aspect of your sonic vision in a time-efficient way. Creating music using audio sources such as vinyl and field-recordings requires a unique set of tools and working methods. This series will spare you countless hours of learning extraneous features, and instead focus on the tools and techniques you actually need to create sample-based music in Live. 100’s of hours of passionate work have created this one tool that will triple your productivity! 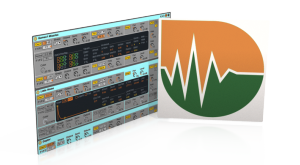 Synth Presets/Sampler Racks/ Effect Racks/Drum Kits & loads of chains, clips & tools and more! Never hit a wrong note again! This exclusive tool is more powerful than you can imagine. Perfect for Production, Remixing & Live Performances, it’s going to be your go-to for mixing the best sound! This tool is a simple, yet versatile way to create a wide variety of Stutter effects in Ableton. 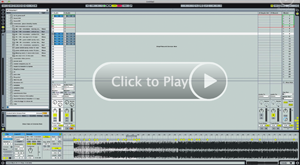 This tool comes with 20 excellent Stutter patterns & you can easily make your own as well. Perfect for all styles of electronic music. Ableton Producer Kits are in depth templates that allow you to use the elements of my song in many ways. Whether you are a DJ, Producer, remixer or Live band, there is something here for you. Included in these kits: * A Live template created specifically for performing all the separated song loops in a live or studio session* All the separated Song loops including Drums, Bass, Stabs, Voice bits, Atmosphere & FX. You’ll be able to use these separately to as a bit of spice to your own productions or DJ sets, for use with remixing or producing or for live performance. 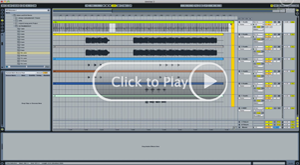 * Full song structuring template to help you lay out your own parts easily & finish your own music in record time. 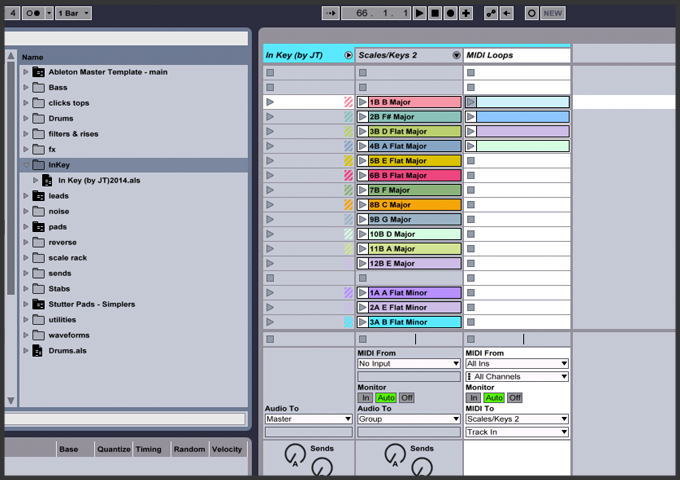 These are the perfect plug & play templates for DJing & live performance. They are super easy to use, Just load & perform. This single guide includes essential studio secrets and creative habits of the pros that are so powerful, it’s worth the membership price alone! Looking for feedback and constructive criticism? Submit your song for a live review and gain insights from the songs of fellow members! 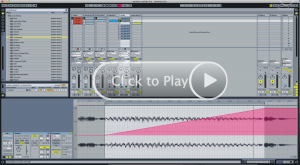 What exactly is the Ableton Producer’s Playground? 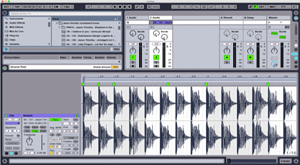 The Producer’s Playground is a massive resource & community for aspiring producers & DJ’s who use (or want to use) Ableton Live as their program of choice. 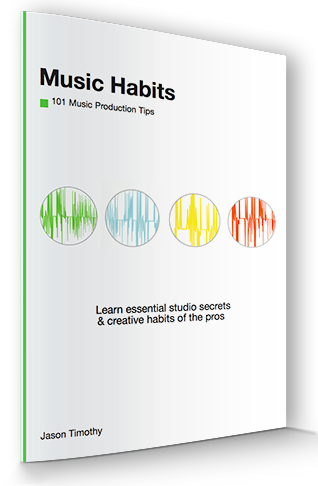 Beyond the massive tools & instructional videos, the Producer’s Playground is designed to help you develop mental habits that can take you from rarely finishing songs, to developing a lifelong habit of finishing songs as often as you would like! So much time is wasted watching loads of free videos & ingesting all the widely varying opinions in groups & forums. Much of this will hurt you more than help you. My work is to balance you with the essential techniques, habits & creative strategies to make a huge leap in your music production career possible. I will help you become more proficient, confident & consistent than you ever thought you could be. Why choose the Producer’s Playground over other training sites? I simply offer more for less of an investment & I don’t just focus on production techniques. Cool techniques can excite you, but you’ll quickly realize most of these techniques have taken you away from developing your unique voice. My goal is to give you information you can put to immediate use. I want you to be able to start & finish songs you love with consistently. My material puts you in the right state of mind before you even get started with the techniques. No one in this field is teaching the essential music habits that account for 85% of your success. Because we are a smaller community, I have the ability to give you more personal time when you need it.So much time is wasted watching loads of free videos & ingesting all the widely varying opinions in groups & forums. Much of this will hurt you more than help you. My work is to balance you with the essential techniques, habits & creative strategies to make a huge leap in your music production career possible. I don’t have a music background & can’t play any instruments, will this hold me back? Not at all. In fact, I know young producers with no knowledge of music theory that produce circles around proper musicians. No theory or natural talent is necessary to be successful in this field. Your dedication & enthusiasm will make the most difference. I am living proof of this, as I have never been trained in music. I already know Ableton pretty well, will the Producer’s Playground be too basic for me? Not at all. I believe everyone can benefit from the content & tools available to you in the Producer’s Playground. This group has both the basics & the advanced to help you at whatever level you find yourself. The point is, if you aren’t finishing loads of songs that you are happy with right now, you can benefit from this group in a big way. 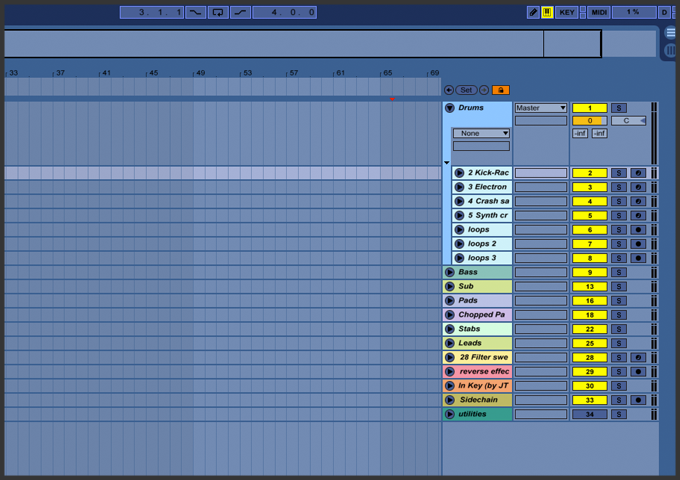 I’ve just got Ableton & I have no idea how to use it, will the Producer’s Playground help me? You bet it will. With my training, I don’t assume you know anything. This group will bring you from wherever you are right now, to where you want to go at a pace that is comfortable for you. When you join, there is a start here section that will get you up & running with Ableton in no time. Will you show me how to sound exactly like my favorite producer? I prefer to push my students to discover their own unique sound. I find that those who chase the sound of others, typically lose what makes their own music special. Instead I prefer to give you both the technical & mental skills to truly develop your own style with confidence, speed & quality. I teach you how to improve your listening skills so you can break down those complex sounds on your own. You also have the community to share ideas & techniques for more specific sounds, so you get the best of both worlds. Will the Producer’s Playground just give me music production theory, or will it actually show me the step by step process? Both! Since there are many ways people like to learn, I offer both the theory & the complete walkthroughs. I never claim that my way is the only way, but the fundamentals are pretty universal & will certainly be of benefit to anyone who would like to finish more music. When i join the Producer’s Playground, am I locked into a contract? Absolutely not! Although I think the true benefits of the Producer’s Playground really reveals itself best over a 6 month period, you have no obligation to stay for any length of time. If you aren’t completely happy, either am I. That said, if your plan is to simply download many of the available resources & tools and exit after 1 month, please don’t bother. You would be missing the whole point of this great community. Do the honest thing & buy the single products instead. We have a fantastic community of committed producers & we want to keep the quality of members high, by only having the most passionate & coachable people join. The 7 day trial should give you enough time to decide if you really want to take that leap. If that is you, we all welcome you with open arms & will do anything we can to help you succeed. If I decide to cancel, how is that done? Although I’ll be sorry to see you go, cancellation is very simple. You’ll just go to MusicSoftwaretraining.com/cancel and follow the simple steps. You’ll continue to have access until the end of the pay period & will then never be charged again. If you have any issues with this, I am always just an email away. Your Master Template looks amazing, but can I edit it for my own needs? Absolutely! The master template is meant to be a collection of tools that can be added to current projects & manipulated in whatever way you like or used as an integrated way to build your songs from start to finish. The Sampler instruments can be fully tweaked and manipulated in hundreds of ways, but you won’t be able to change those presets (don’t worry, there are loads of great sounds). You CAN however change sounds in any of the drum kits to fit your needs & even save your own custom presets. You are never locked in to any any particular approach, and your imagination is your only limit. I thought you’d never ask! Simply choose which membership level you would like to join, click the link & follow the simple instructions. After payment, you will create your username & password & will immediately get access to the Playground. I can’t wait to have you aboard!